The Victorian style has a faceted projection which gives a distinctive and soft feel to the shape of the conservatory. Available in 3 and 5 faceted versions a Victorian style conservatory extends gently into any garden space. Whether a simple 3x3m addition to your house or a grand edifice reminiscent of the large country house orangeries of the Victorians this style of conservatory is a great way to add extra light and airy space to your home. 3.0m wide x 3.0m projection Victorian Conservatory Victorian Conservatory - Dwarf Walls The front bay to this conservatory gives you a little more character to your new conservatory, a Victorian touch of class. Conservatory Construction - Frames Price includes frames x 5 to go on to dwarf w..
3.0m wide x 3.5m projection Victorian Conservatory Victorian Conservatory - Dwarf Walls The front bay to this conservatory gives you a little more character to your new conservatory, a Victorian touch of class. Conservatory Construction - Frames Price includes frames x 5 to go on to dwarf w..
3.0m wide x 4.0m projection Victorian Conservatory Victorian Conservatory - Dwarf Walls The front bay to this conservatory gives you a little more character to your new conservatory, a Victorian touch of class. Conservatory Construction - Frames Price includes frames x 5 to go on to dwarf w..
3.0m wide x 4.5m projection Victorian Conservatory Victorian Conservatory - Dwarf Walls The front bay to this conservatory gives you a little more character to your new conservatory, a Victorian touch of class. Conservatory Construction - Frames Price includes frames x 5 to go on to dwarf wal..
3.5m wide x 3.0m projection Victorian Conservatory Victorian Conservatory - Dwarf Walls The front bay to this conservatory gives you a little more character to your new conservatory, a Victorian touch of class. Conservatory Construction - Frames Price includes frames x 5 to go on to dwarf w..
3.5m wide x 3.5m projection Victorian Conservatory Victorian Conservatory - Dwarf Walls The front bay to this conservatory gives you a little more character to your new conservatory, a Victorian touch of class. Conservatory Construction - Frames Price includes frames x 5 to go on to dwarf w..
3.5m wide x 4.0m projection Victorian Conservatory Victorian Conservatory - Dwarf Walls The front bay to this conservatory gives you a little more character to your new conservatory, a Victorian touch of class. Conservatory Construction - Frames Price includes frames x 5 to go on to dwarf w..
3.5m wide x 4.5m projection Victorian Conservatory Victorian Conservatory - Dwarf Walls The front bay to this conservatory gives you a little more character to your new conservatory, a Victorian touch of class. Conservatory Construction - Frames Price includes frames x 5 to go on to dwarf w..
4.0m wide x 3.0m projection Victorian Conservatory Victorian Conservatory - Dwarf Walls The front bay to this conservatory gives you a little more character to your new conservatory, a Victorian touch of class. Conservatory Construction - Frames Price includes frames x 5 to go on to dwarf w..
4.0m wide x 3.5m projection Victorian Conservatory Victorian Conservatory - Dwarf Walls The front bay to this conservatory gives you a little more character to your new conservatory, a Victorian touch of class. Conservatory Construction - Frames Price includes frames x 5 to go on to dwarf w..
4.0m wide x 4.0m projection Victorian Conservatory Victorian Conservatory - Dwarf Walls The front bay to this conservatory gives you a little more character to your new conservatory, a Victorian touch of class. Conservatory Construction - Frames Price includes frames x 5 to go on to dwarf w..
4.0m wide x 4.5m projection Victorian Conservatory Victorian Conservatory - Dwarf Walls The front bay to this conservatory gives you a little more character to your new conservatory, a Victorian touch of class. Conservatory Construction - Frames Price includes frames x 5 to go on to dwarf w..
5.0m wide x 3.0m projection Victorian Conservatory Victorian Conservatory - Dwarf Walls The front bay to this conservatory gives you a little more character to your new conservatory, a Victorian touch of class. Conservatory Construction - Frames Price includes frames x 5 to go on to dwarf w..
5.0m wide x 3.5m projection Victorian Conservatory Victorian Conservatory - Dwarf Walls The front bay to this conservatory gives you a little more character to your new conservatory, a Victorian touch of class. Conservatory Construction - Frames Price includes frames x 5 to go on to dwarf w..
5.0m wide x 4.0m projection Victorian Conservatory Victorian Conservatory - Dwarf Walls The front bay to this conservatory gives you a little more character to your new conservatory, a Victorian touch of class. 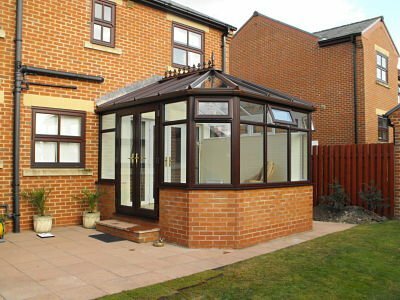 Conservatory Construction - Frames Price includes frames x 5 to go on to dwarf w..